A day at the Severn Valley Railway, visiting central Birmingham then taking in Kidderminster, Arley, Bridgnorth and Hampton Loade. Some video of a Chiltern Class 68 leaving Kidderminster is here. Some video taken at the SVR is here. A travel video shot around Arley is here. 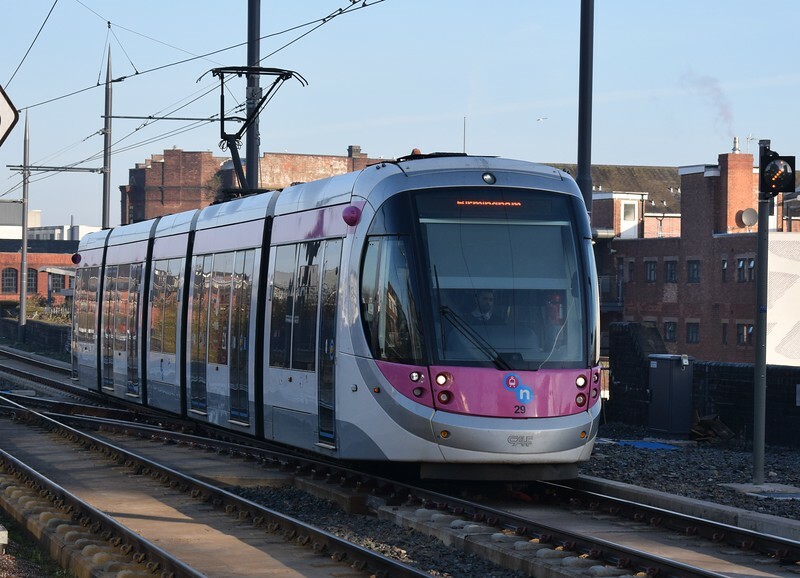 Midland Metro CAF Urbos 3 tram no. 29 at the Birmingham Snow Hill "St. Chads" stop on a Grand Central service.